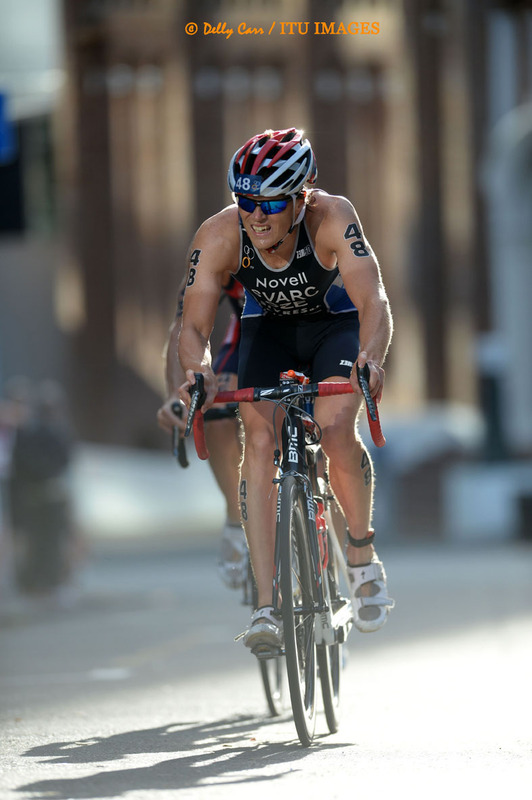 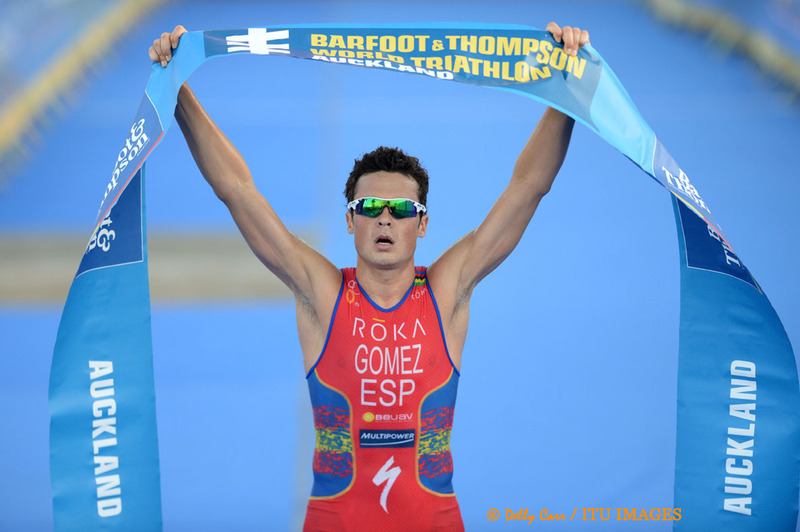 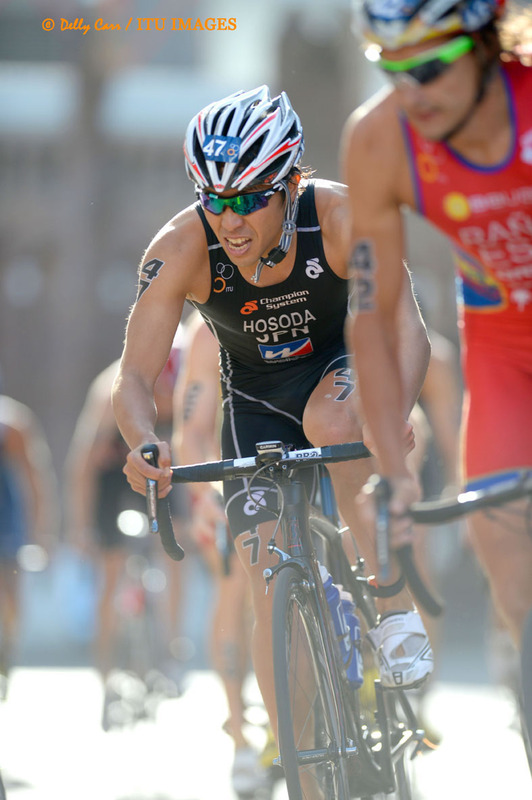 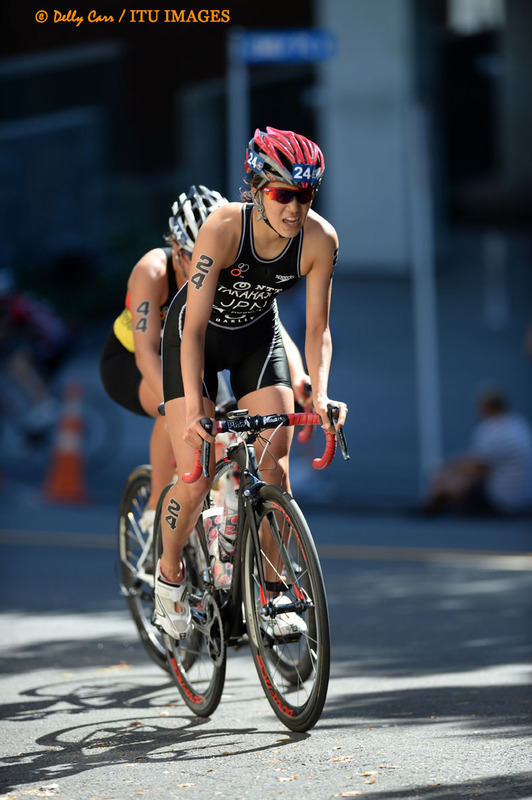 Spain’s Javier Gomez kept his undefeated streak at the Auckland World Triathlon Series intact, recording a comprehensive win over Jonathan Brownlee in the first WTS event of the 2014 season in New Zealand. 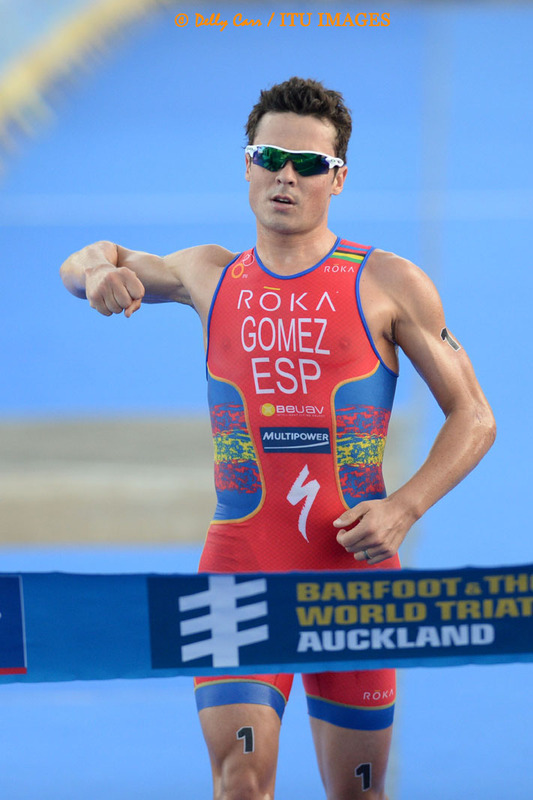 Gomez had already recorded wins on the Auckland course in 2012 and 2013, and while pushed for most of the run by Brownlee, proved too strong again on the tough, hilly course. 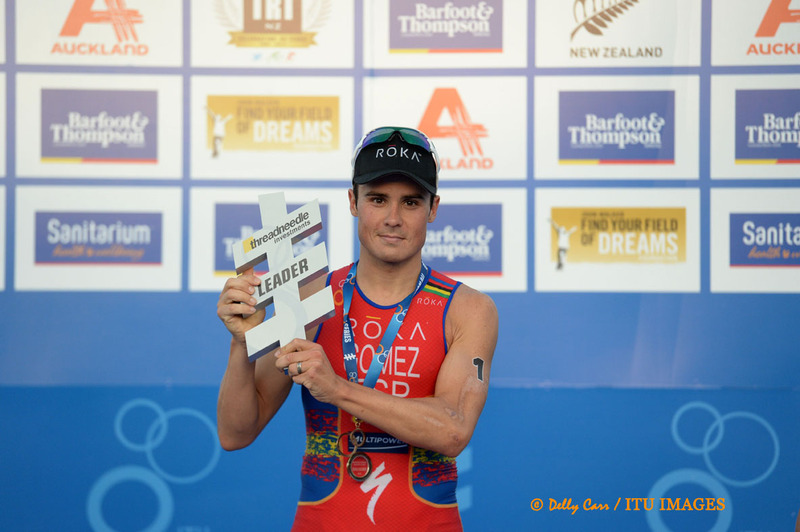 After Mario Mola‘s New Plymouth win blemished his completely perfect record in New Zealand, Gomez was happy to be back on top. 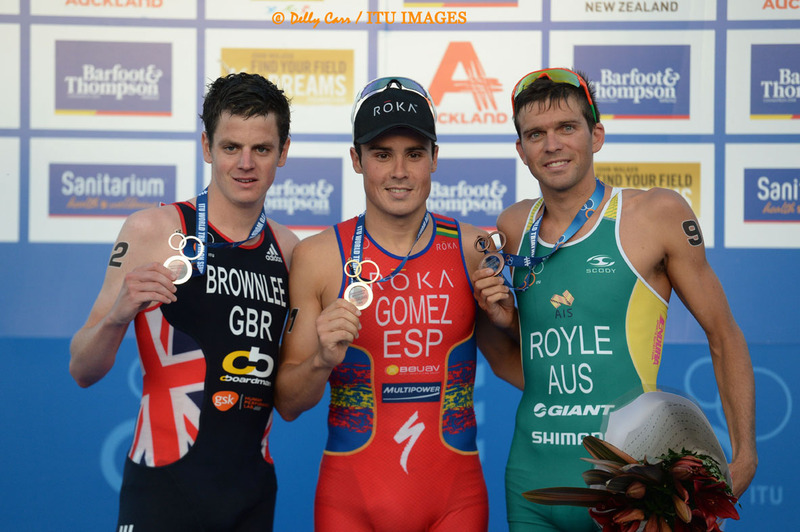 It was Brownlee’s first race of the 2014 season and he gave full credit to Gomez, as they added yet another chapter to their amazing rivalry. 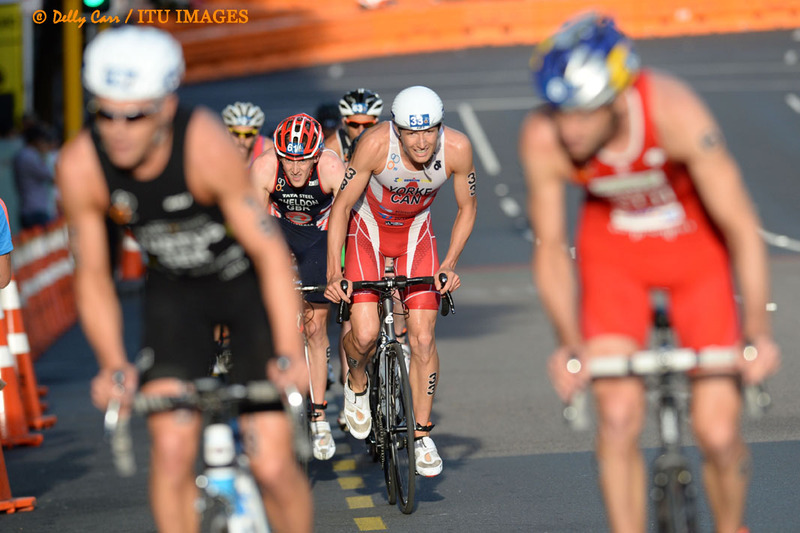 Behind the two sport’s heavyweights, a fractured field opened it up for a first-time podium place. 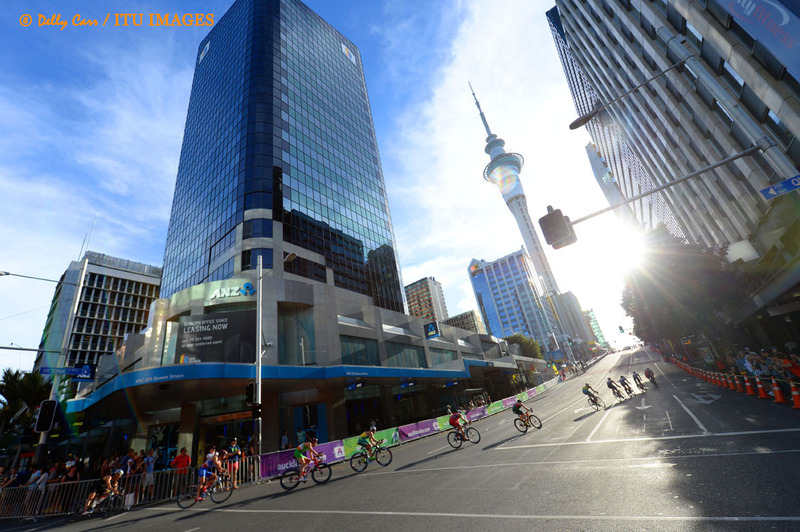 While Joao Silva, Mario Mola, Sven Riederer, Steffen Justus and other pre-race medal contenders ended-up in a chase-pack that left T2 two minutes behind the leaders, a trans-tasman battle emerged between New Zealand’s Ryan Sissons and a trio of Australians, Dan Wilson, Ryan Bailie and Aaron Royle. 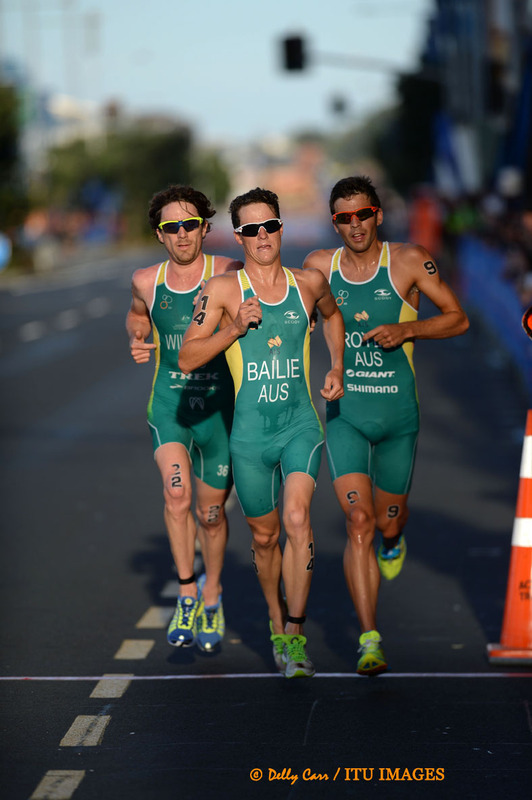 While Sissons fell away, the Australian trio ran shoulder to shoulder until the final kilometre, when first Bailie surged, then Wilson and Royle. 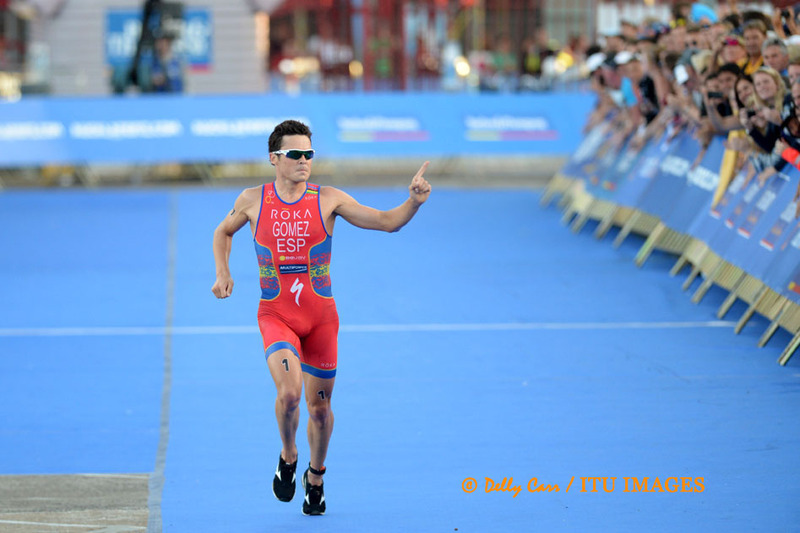 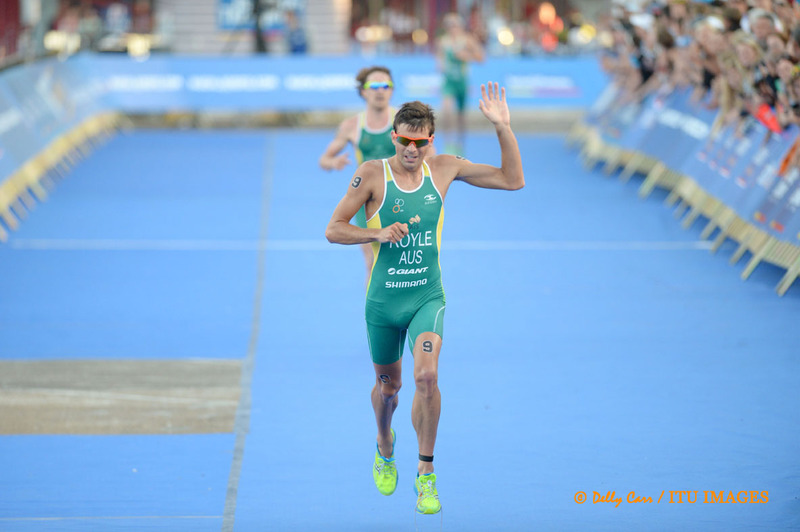 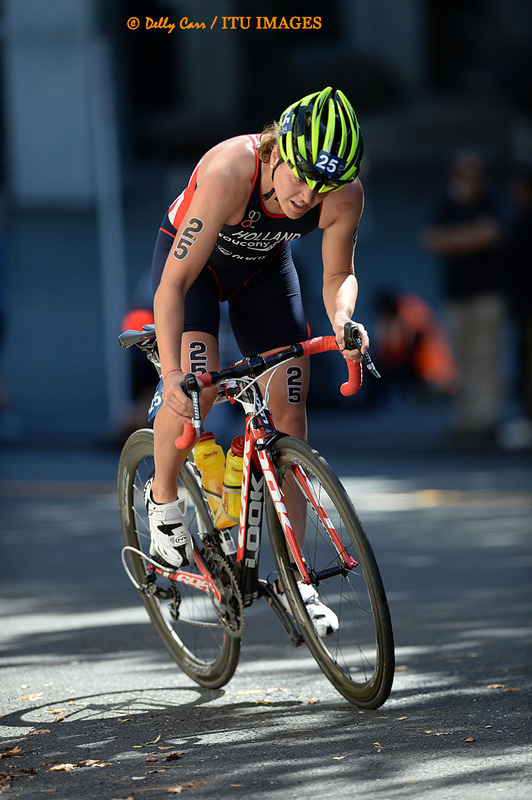 But Royle backed his sprint, just as when he won the Under23 world title on the Auckland course in 2012. 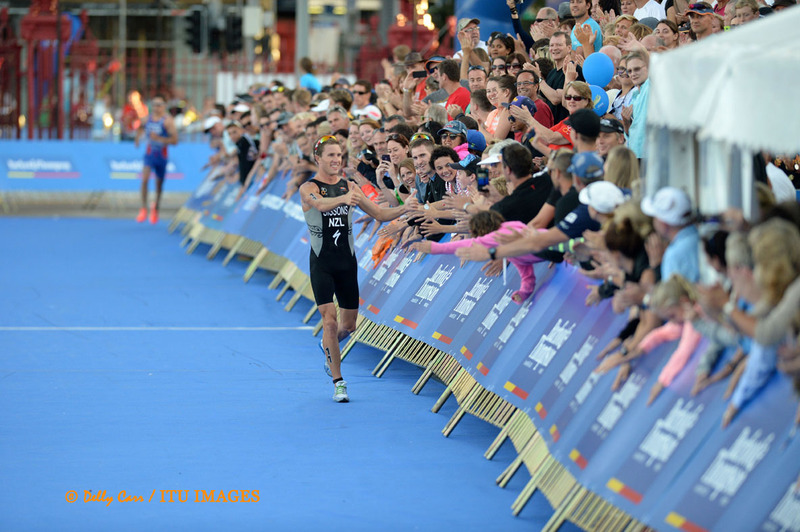 “I was pretty confident in my sprint finish so I tried to go with about 2.5k to go but they hung on so I just thought no, I’m just going to save it for that final 100 and luckily I got the win for third,” Royle said. 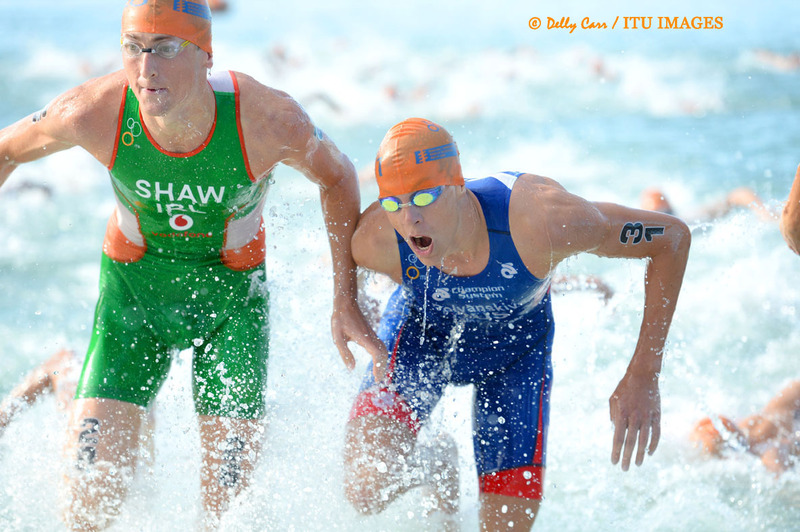 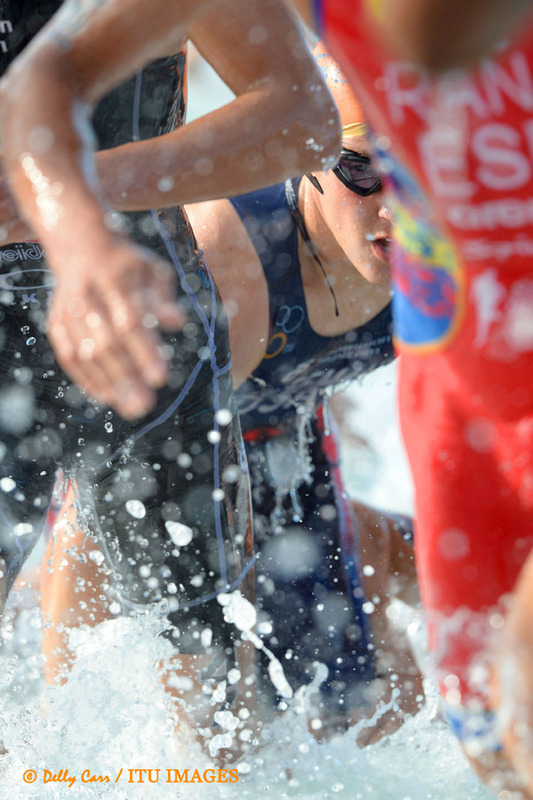 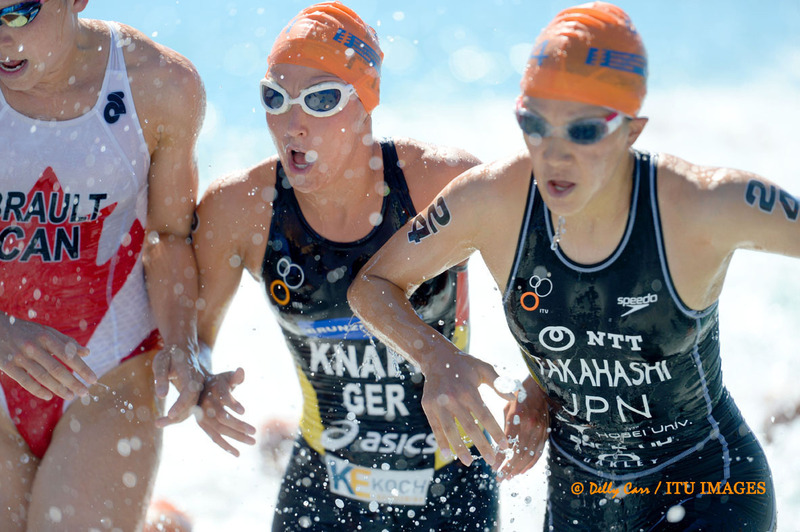 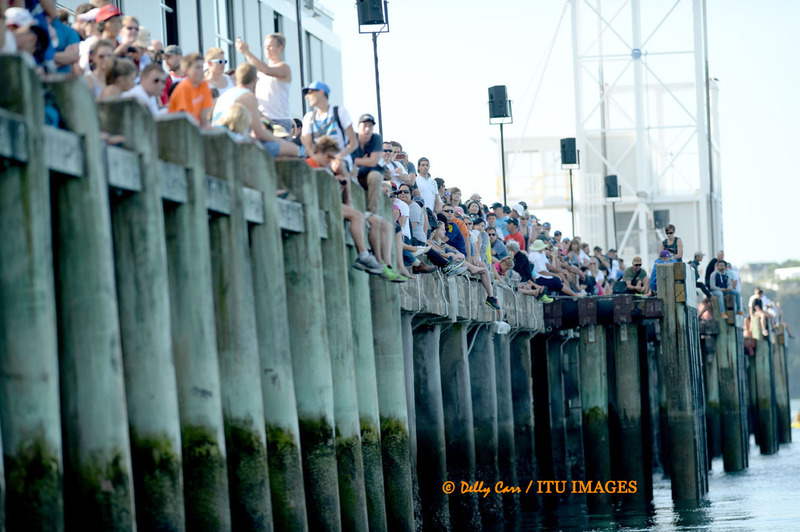 The men’s race also started with a non-wetsuit swim and it was Slovakia’s Richard Varga who led the field into T2. 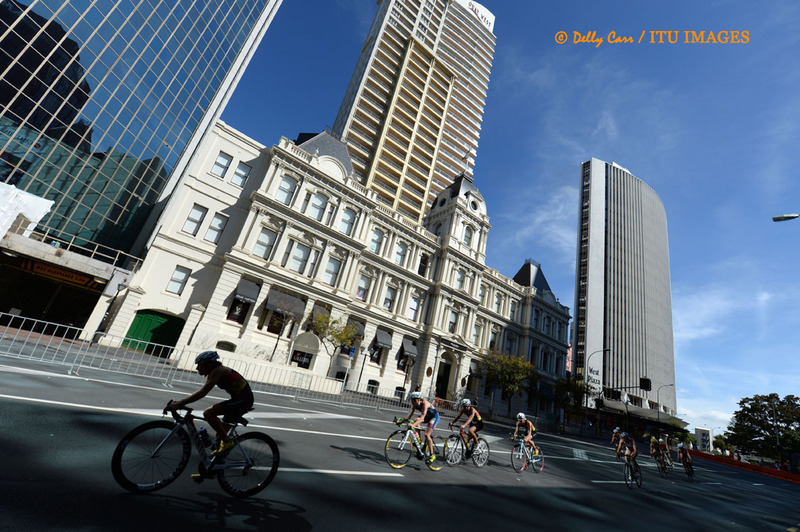 A large lead group of almost 20 was whittled down over the next few laps, led by Gomez, Brownlee, Henri Schoeman and Thomas Bishop pushing the pace at the top. 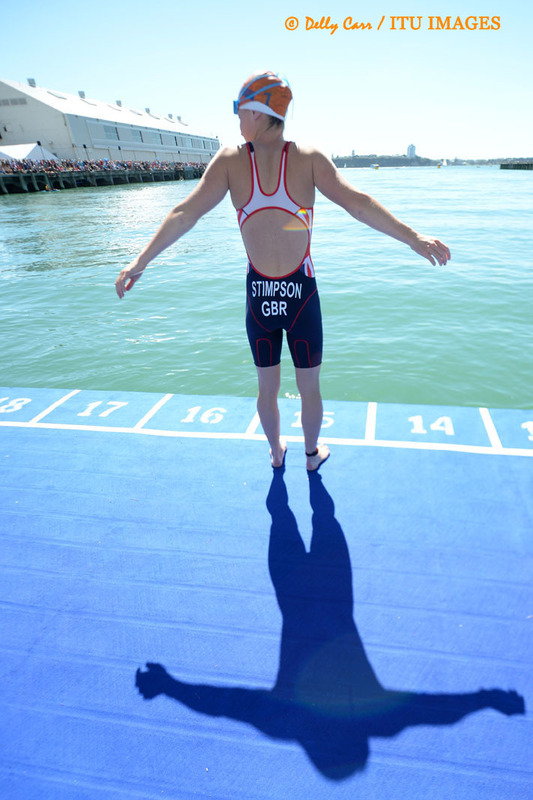 At the halfway point it was stripped down to 12. 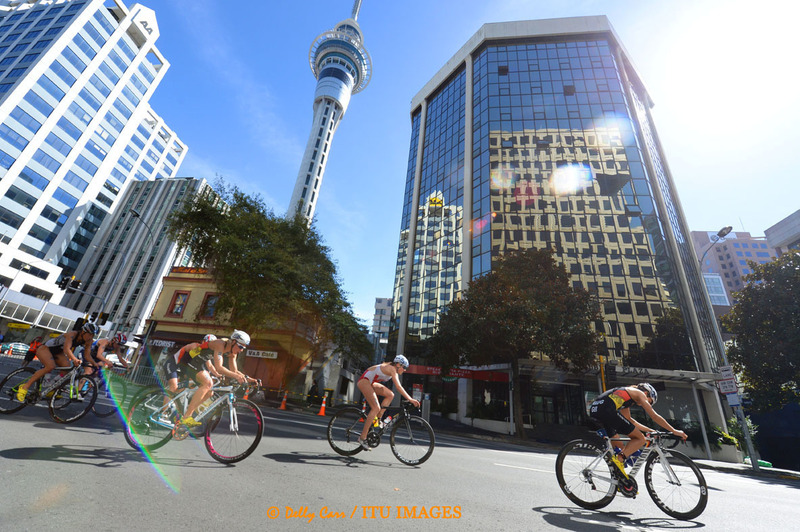 But that wasn’t quite the end of the story in the bike, as New Zealand’s Tom Davison engineered an impressive bridge up to the lead pack. 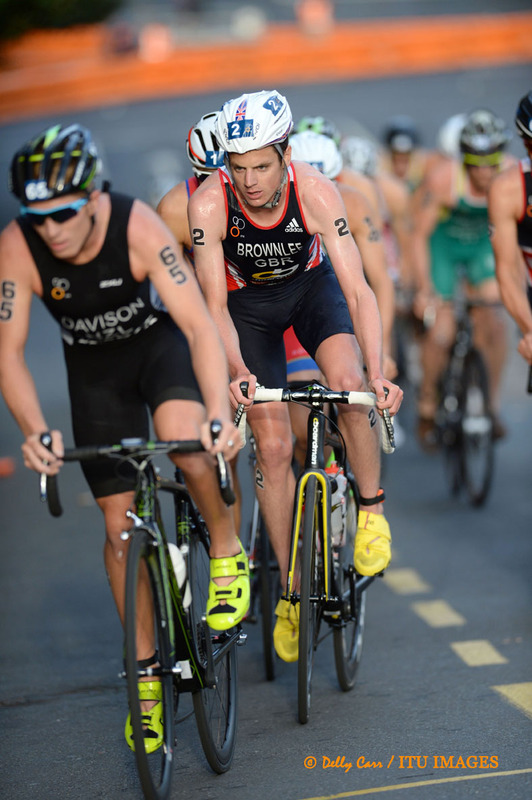 Davison left the swim a minute down from the leaders but showed the form that carried him to a national road cycling championships as he just sliced through the field, towing teammate Ryan Sissons and Australia’s Declan Wilson with him to the leaders. 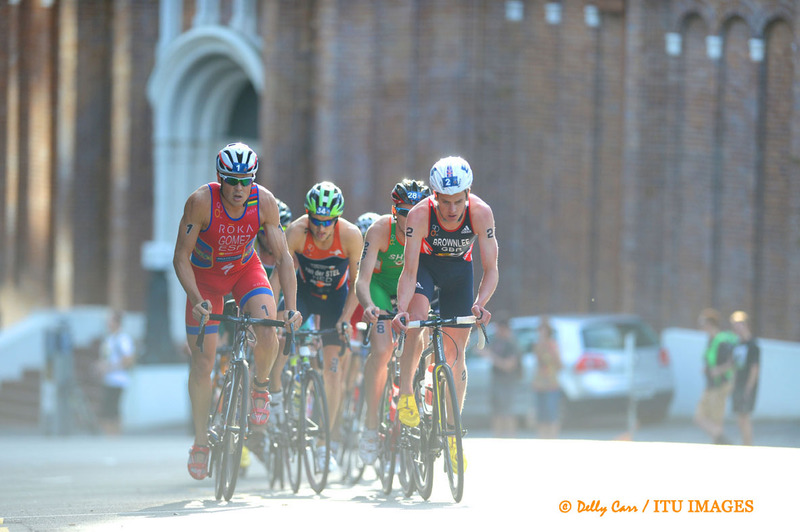 The lead pack of 15 entered T2 with a lead of over a minute and a half, meaning the medals were secure within the top 15. 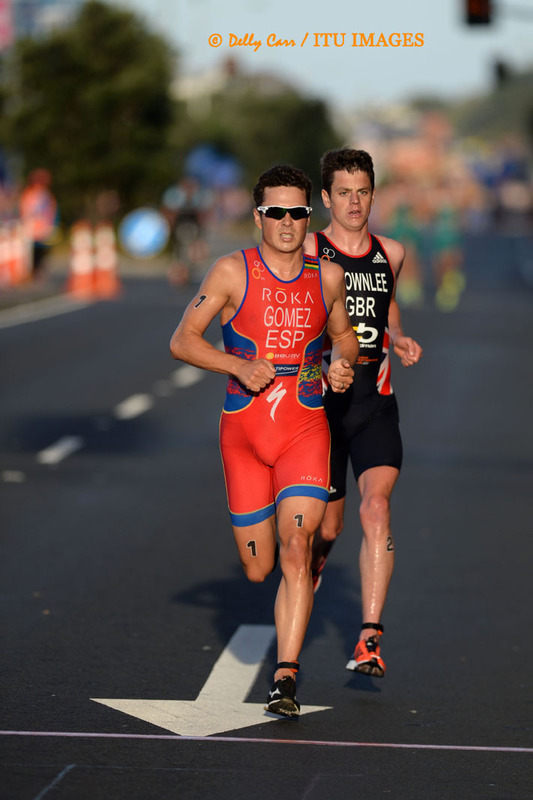 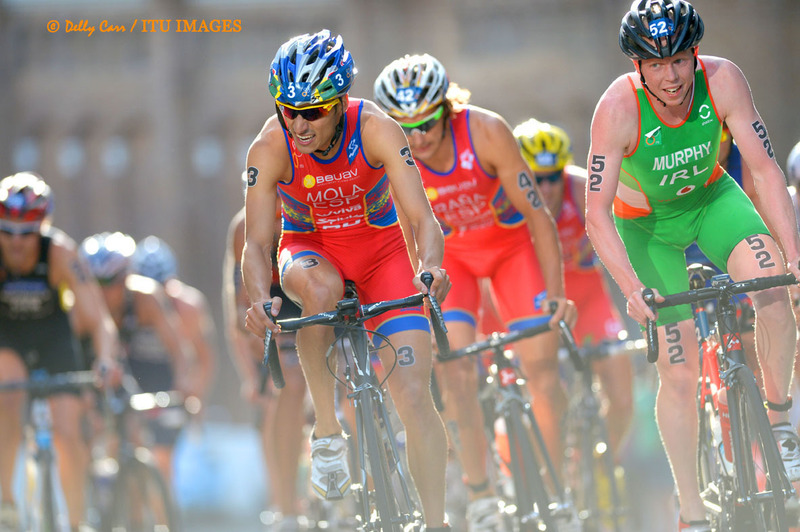 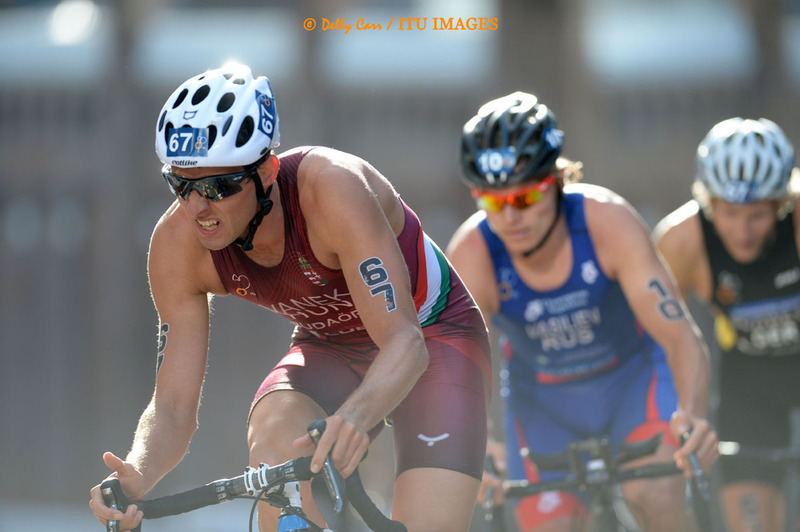 From there, another thrilling battle between Brownlee and Gomez loomed. 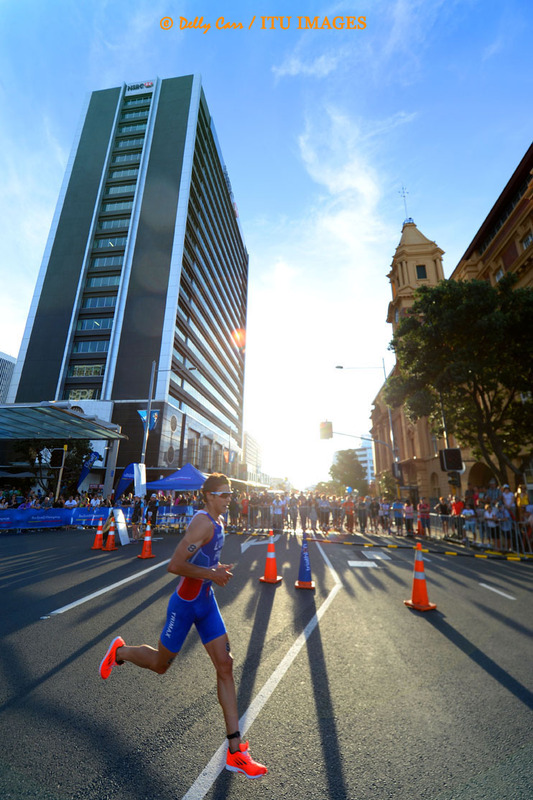 They edged away from all chasers early on, before Gomez put down the hammer at 7km and comfortably collected his third Auckland win. 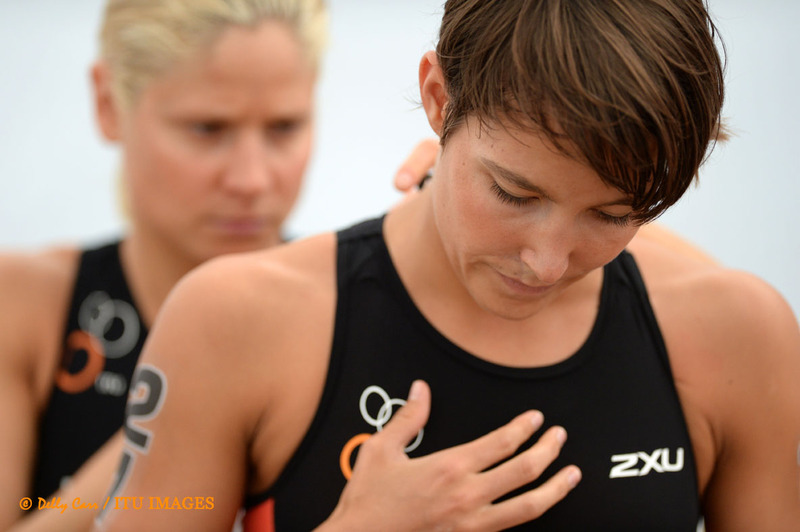 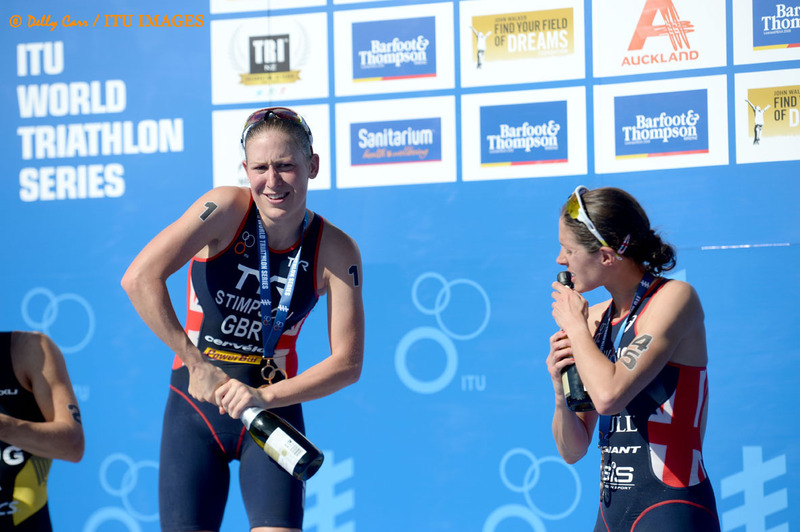 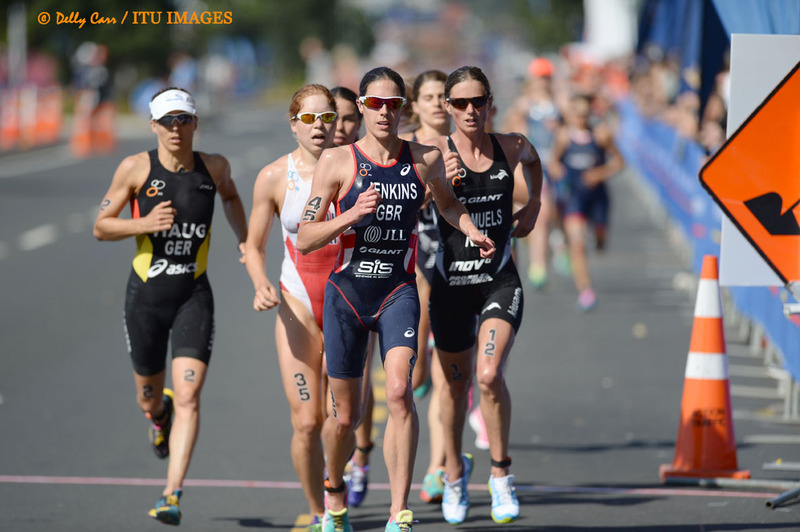 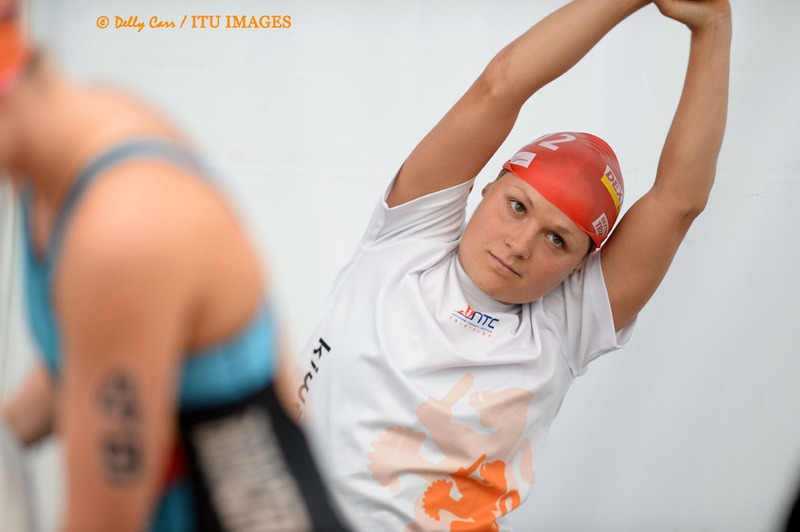 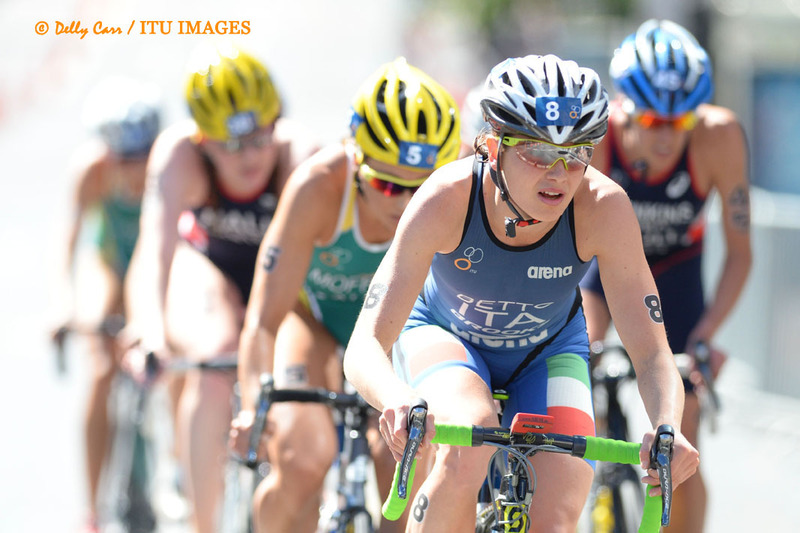 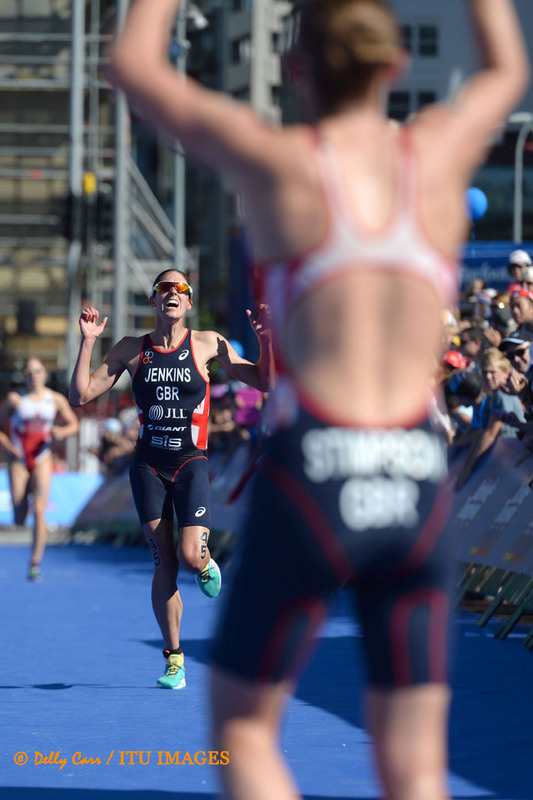 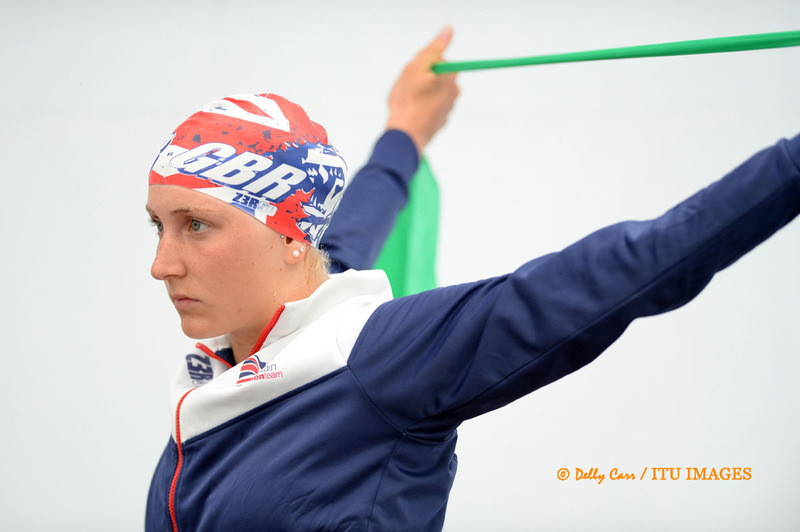 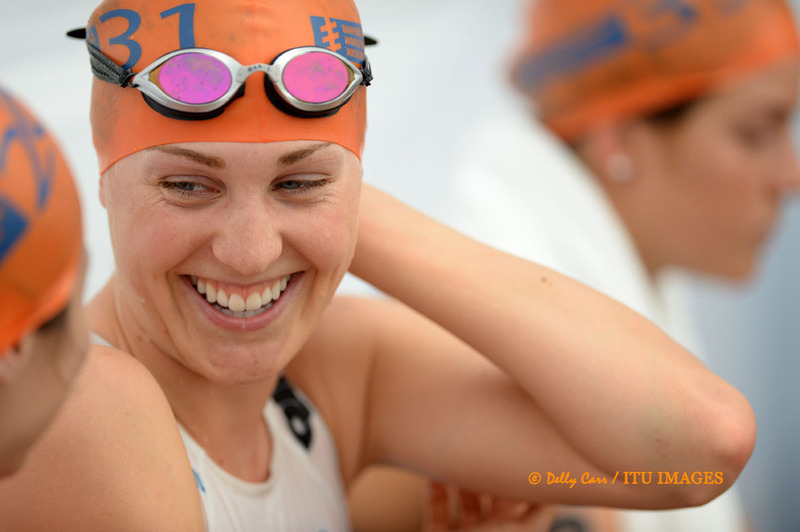 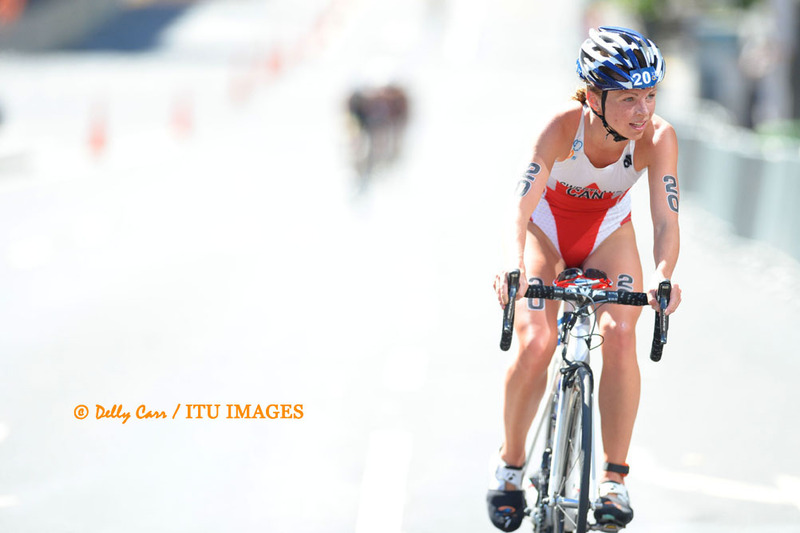 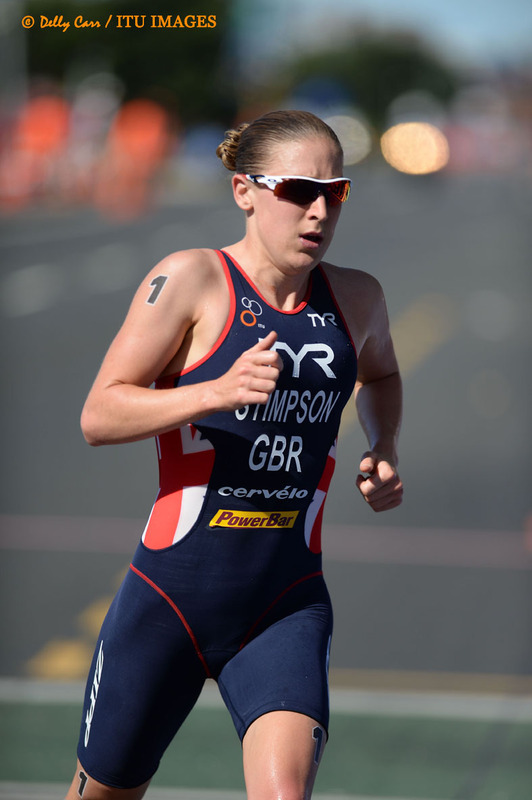 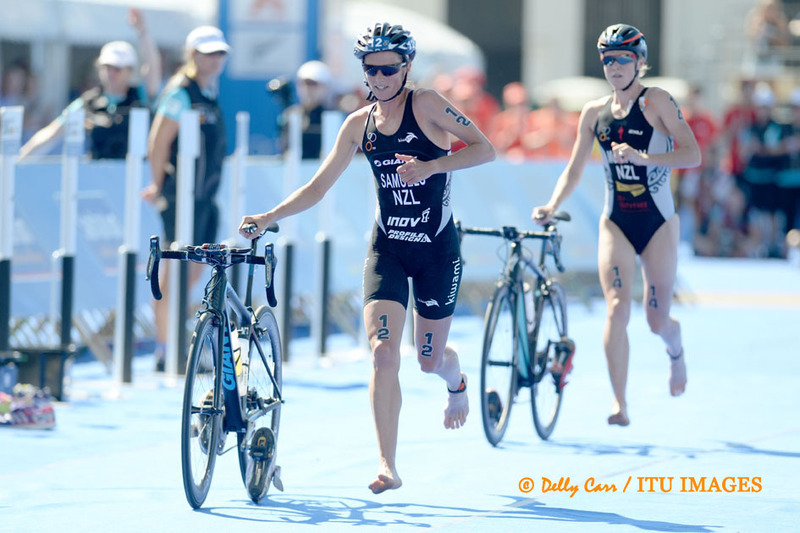 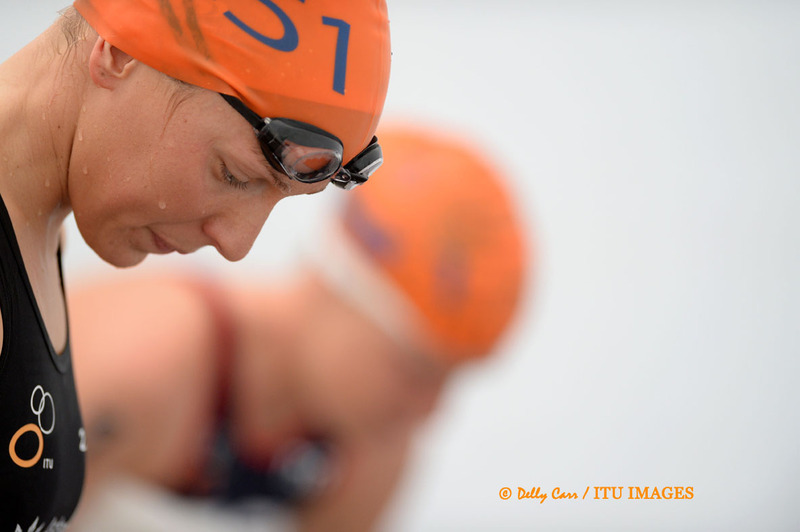 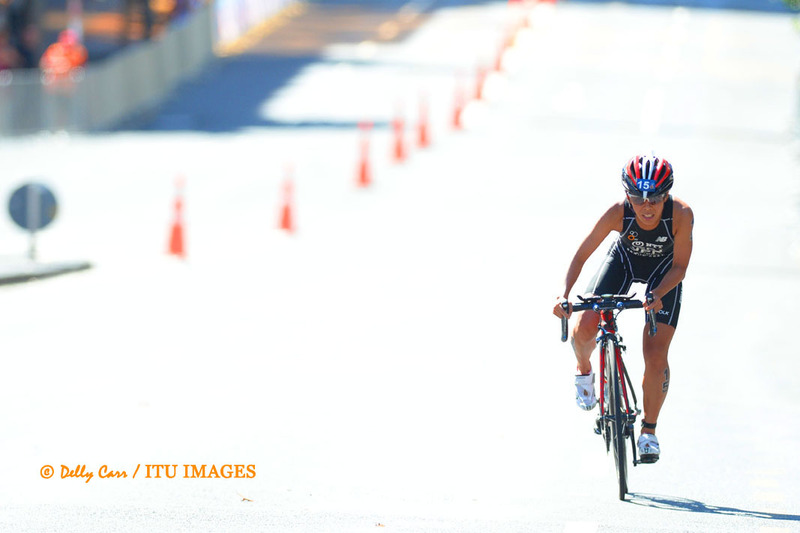 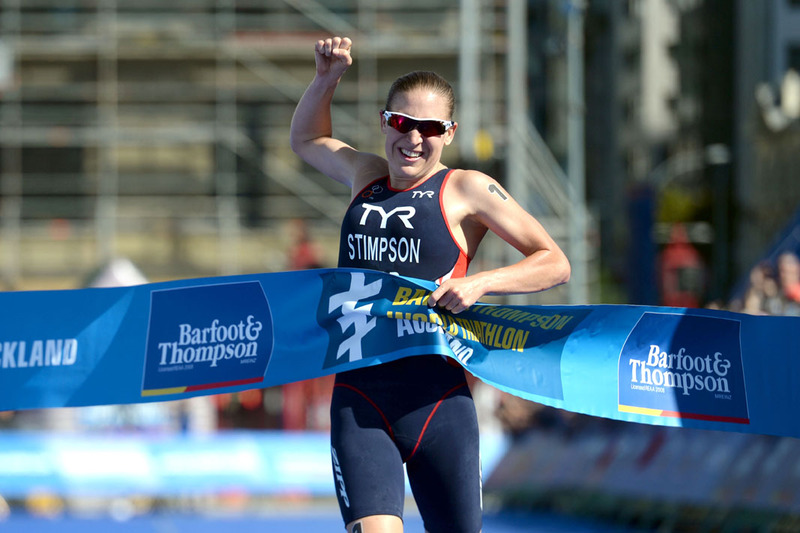 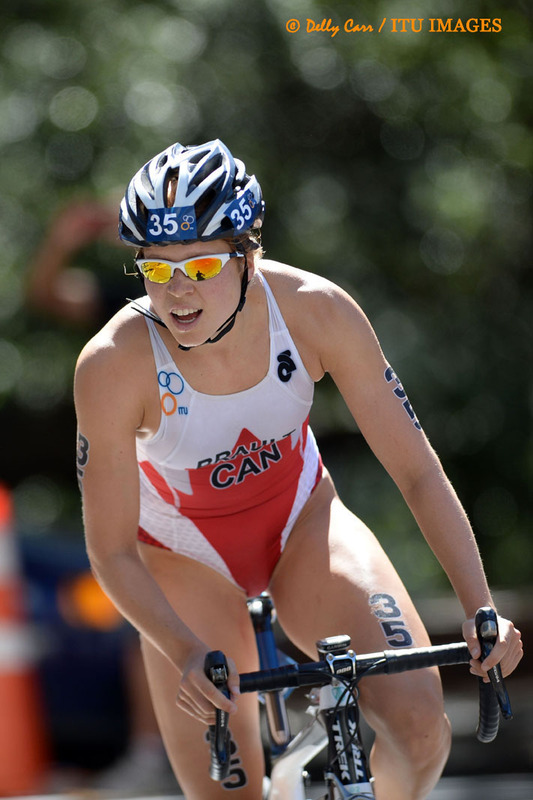 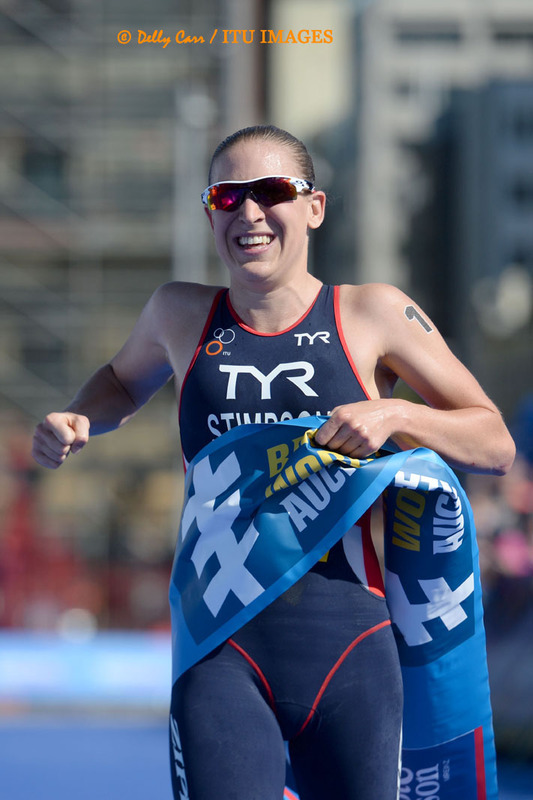 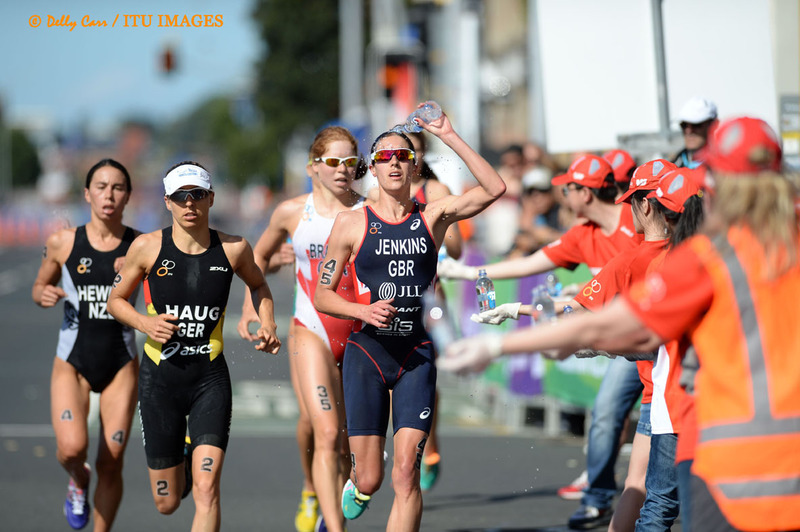 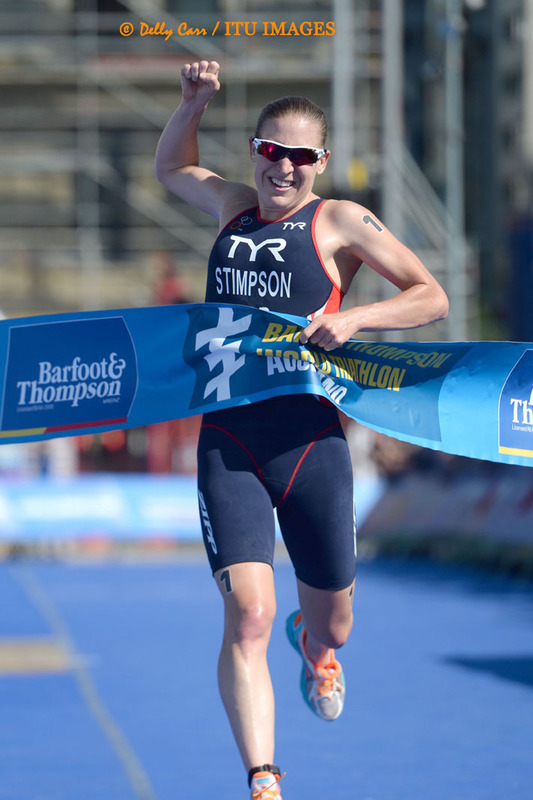 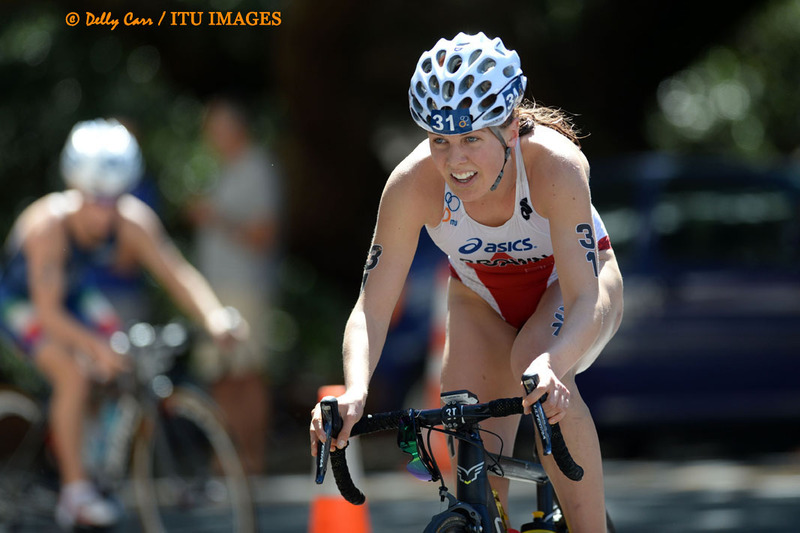 Great Britain's Jodie Stimpson produced the perfect start to her 2014 World Triathlon Series season, winning in Auckland ahead of Germany's Anne Haug and fellow Brit Helen Jenkins. 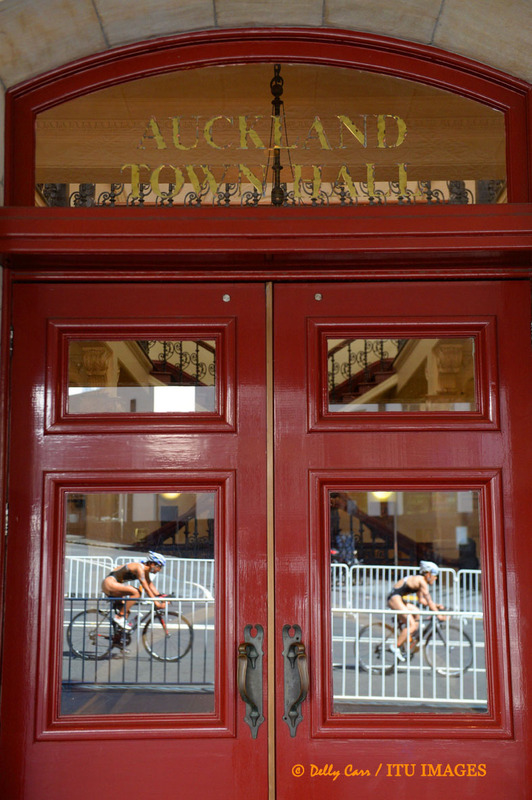 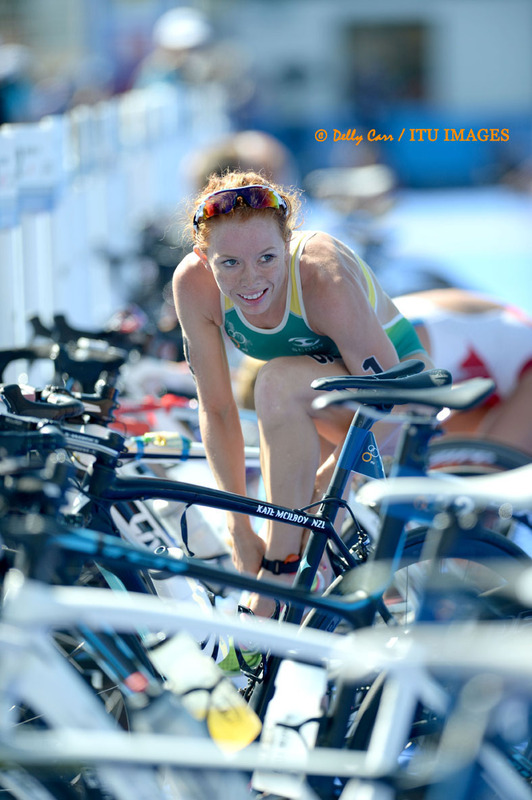 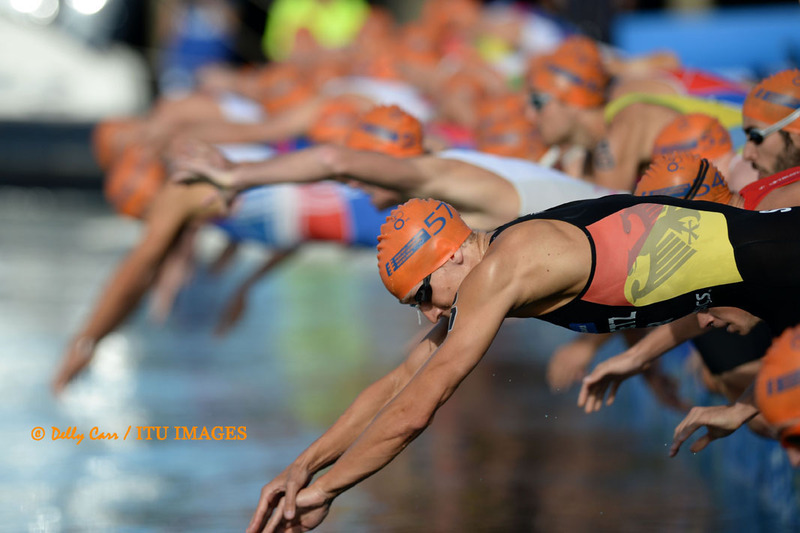 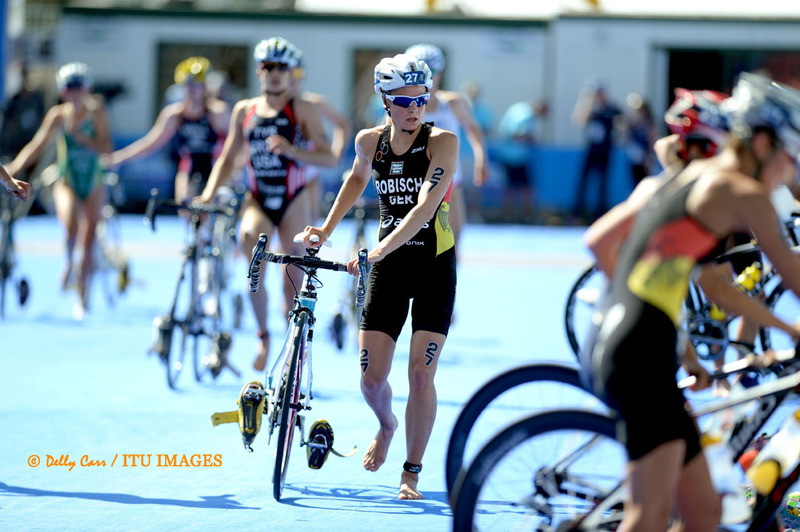 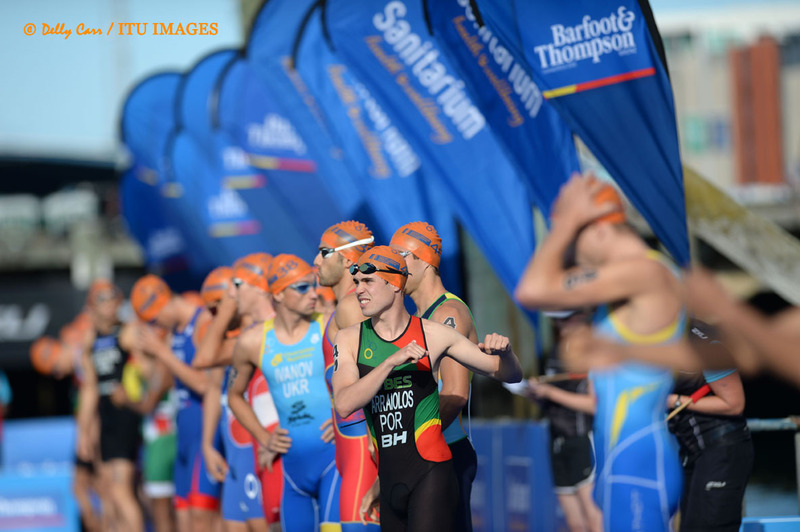 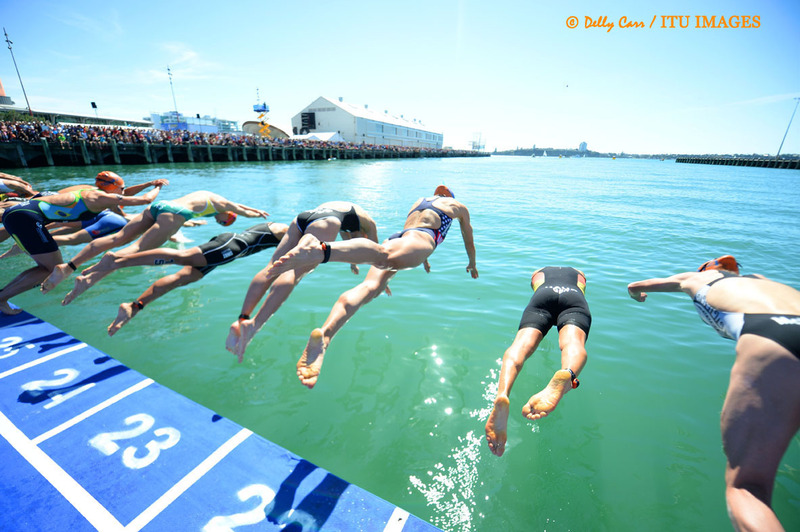 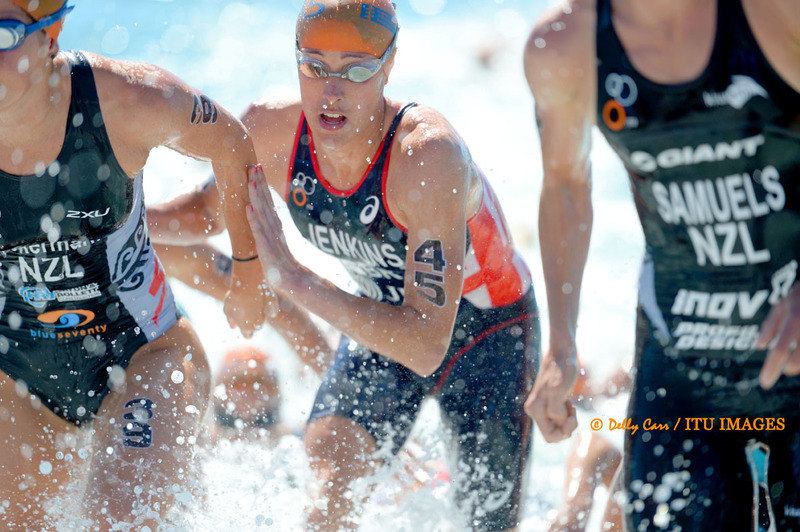 Like the women, the men's start list is stacked with super stars at the Barfoot & Thompson World Triathlon Series Auckland. 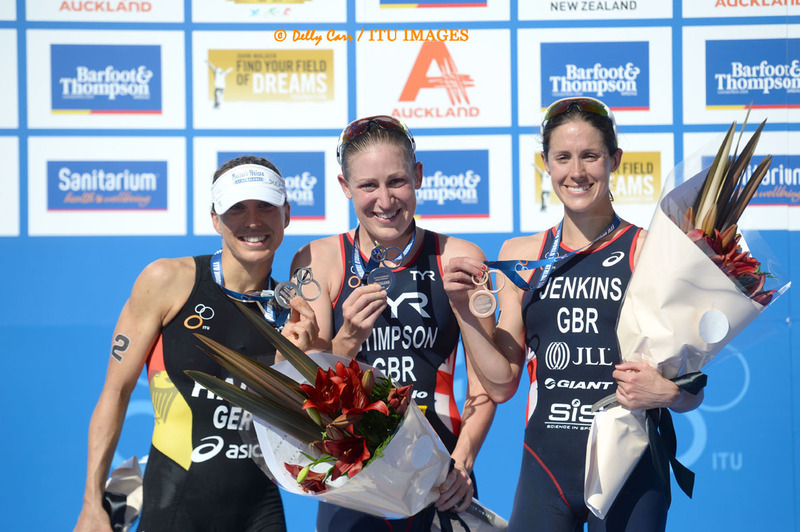 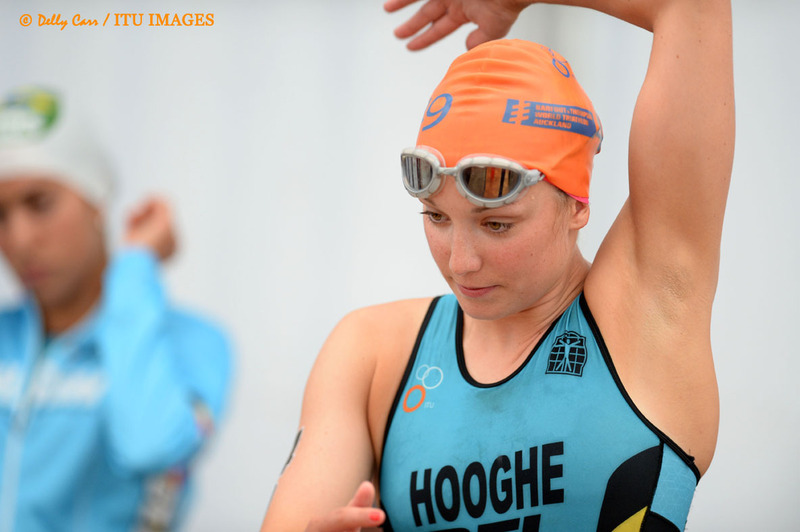 Here's a peek at who we think can be major players for the podium.